$500 Bonus for College Graduates! Only 2 S Automatic models left in stock! New vehicle pricing includes all dealer offers and dealer incentives. Tax, Title and Tags not included in vehicle prices shown and must be paid by the purchaser. While great effort is made to ensure the accuracy of the information on this site, errors do occur so please verify information with a customer service rep. This is easily done by calling us at (877) 421-2055 or by visiting us at the dealership. 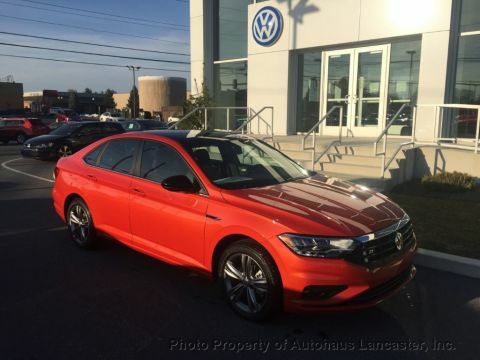 Autohaus Lancaster, Inc brings a wide selection of the popular German vehicle to Lancaster, Pennsylvania. Volkswagen vehicles have been long known for their beautiful, efficient designs and affordable price tags. 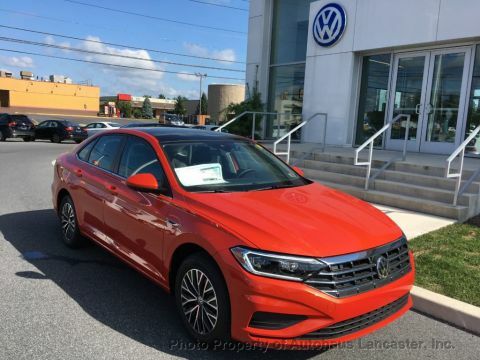 For a reliable everyday car, see the Volkswagen Jetta, a small sedan that highlights German practicality, or see our selection of Volkswagen Beetle models. Volkswagen has updated their design of the iconic car with a contemporary style and the latest technology, making a Volkswagen car or SUV your perfect commute or travel companion. 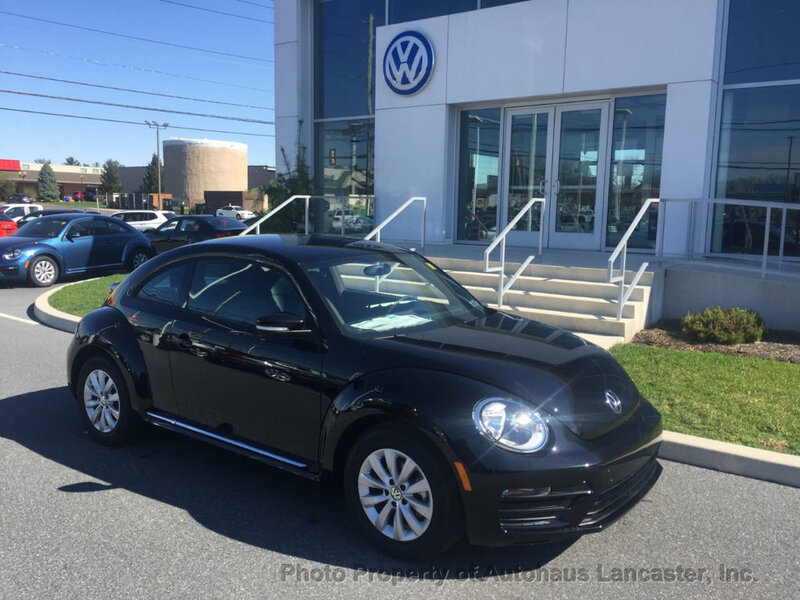 Visit our Lancaster area dealership for a test drive of the Volkswagen car of your choice. Graduation is already paying off! *College Graduate Program is subject to credit approval and is available to U.S. citizens or permanent residents who graduated from a U.S. or Canadian accredited college/university no more than 24 months prior to credit application. Applicant must be employed in a full-time permanent position or have a written commitment from a future employer. References, proof of income, copy of degree or official transcript, and contact information for college/university required. Credit history is not required, but existing credit must be in good standing and have no previous derogatory credit. Program good from January 3, 2018 to January 2, 2019. Program not valid in Puerto Rico. See your local Volkswagen dealer for details or, for general product information, call 1-800-Drive-VW. 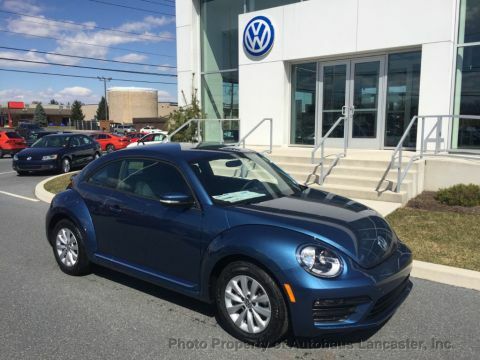 **Volkswagen of America, Inc. will pay a $500 Contract Bonus when customers eligible for the College Graduate Program lease or purchase a new, unused Volkswagen vehicle through participating dealers and finance the lease or purchase through Volkswagen Credit from January 3, 2018 to January 2, 2019. Excludes Certified Pre-Owned vehicles. May not be combined with VW TDI programs (79L and 81R). Subject to credit approval by Volkswagen Credit. Bonus must be applied toward customer lease or purchase and is not redeemable for cash. Offer not valid in Puerto Rico. See your local Volkswagen dealer for details or, for general product information, call 1-800-Drive-VW.